What a fab Christmas Card. 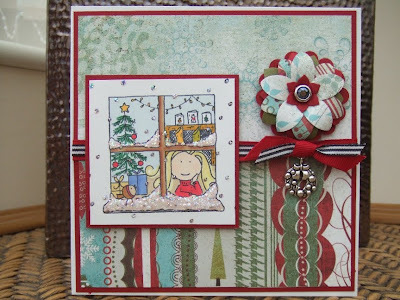 LOVE that paper you used...Such a DARLING image! Love that paper and the image. And I really love how you've added the dazzling diamonds to the window. Fabulous card!